bringing made from scratch recipes to your table. Our concept was created by a group of partners who wanted to offer healthy food choices to a community that’s quickly discovering the health benefits of natural and whole ingredients. We purchase our beef from Swift Level Farm in Lewisburg. Swift Level steers are farm raised and live on an all grass diet. They process in a USDA, Animal Welfare Approved facility and dry age for 45 days. Our producers restore the land, not deplete it and support family farms as a way of life in our region. Your purchase keeps the dollars and the food system local. Thank you for supporting a traditional farm. This is Paul Almond, THE master Culinary Guru. From coming up with tasteful and eclectic Mexican dishes to drawing from his experiences making homemade Italian dishes, he makes Tuesdays and Wednesdays a can’t miss for dinner specials at the Dish! 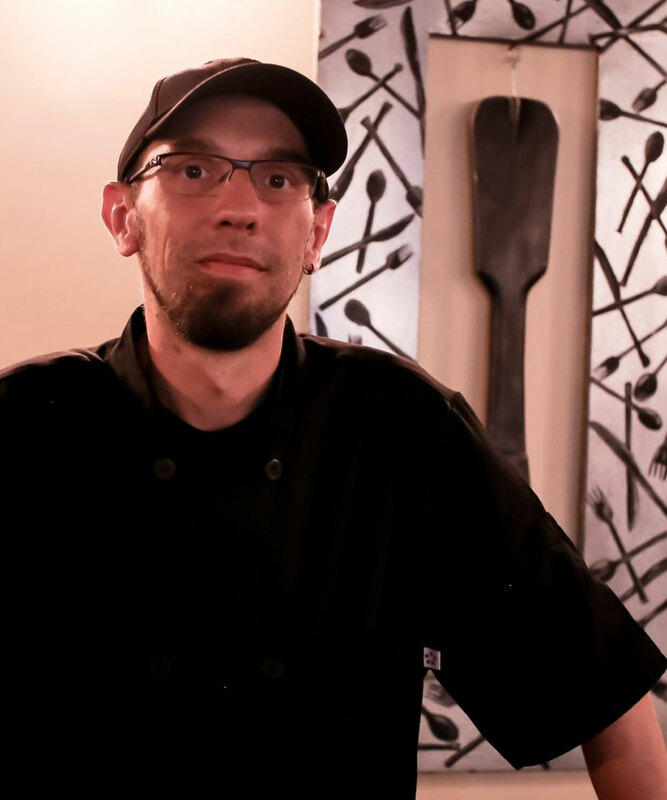 Paul has been a part of our culinary team since the beginning and his creativity with fresh, in-season ingredients has been key in bridging the gap between growers and customers and making The Dish Cafe the #1 choice for Farm to Table in Southern West Virginia. Paul’s integrity shines through in the food he prepares and in his desire to improve the health of our patrons. Josh Israel, our General Manager, is one of the great leaders of the Dish Cafe. His culinary talent combined with his management skills are extraordinary. 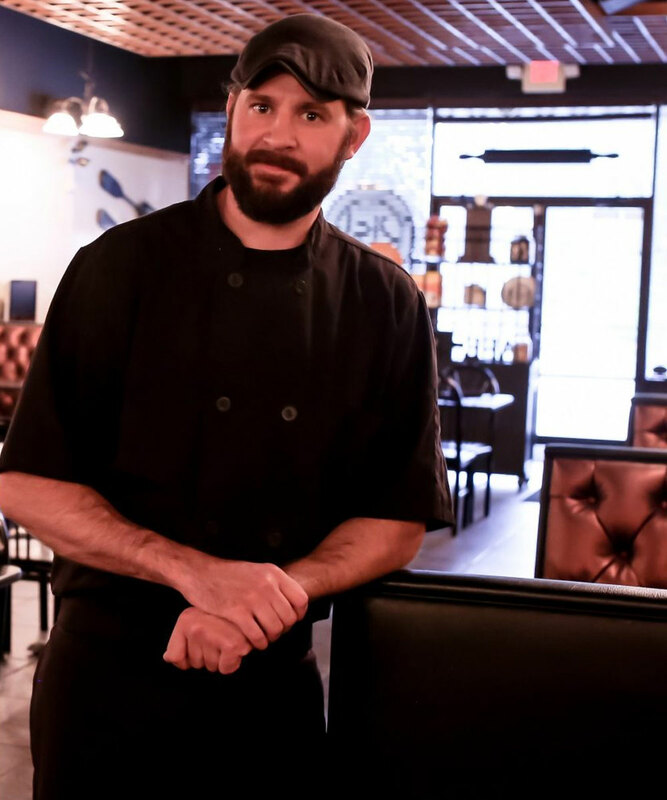 He maintains the integrity of our recipes through the preparation process by keeping fresh, local ingredients, flavor profiles and food combinations his top priority in showcasing our food. Josh maintains a knowledgeable wait staff by communicating the details of how we’ve integrated local products coming from multiple farms into our recipes. Josh is SUPER friendly, honest, fair and remains calm under pressure. Christopher Shannon. What can we say except Chris Rocks! 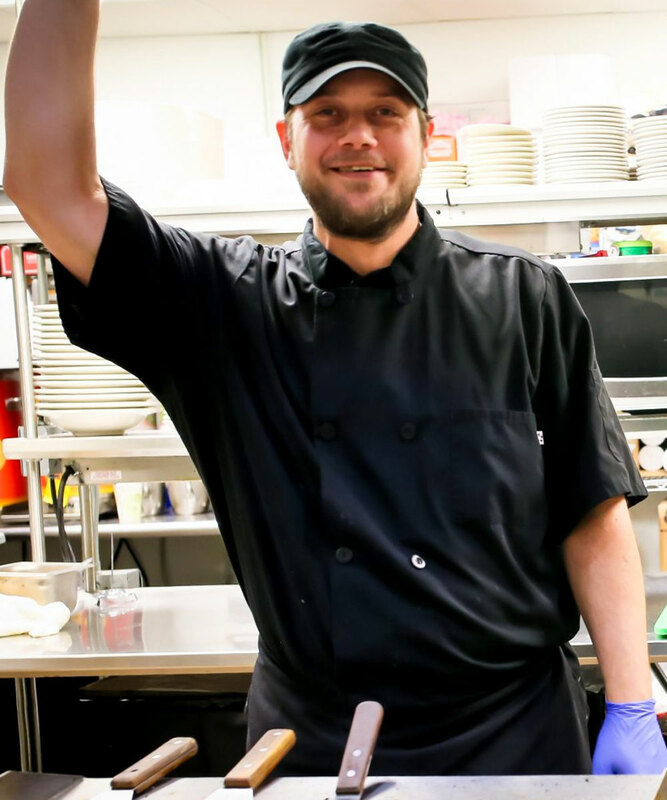 Chris has top notch culinary skills and a true ability for putting out flavorful food prepared correctly and cooked at the right temperatures for the right length of time. If it’s not perfect, Chris doesn’t let it leave his kitchen. He is a true reflection of our concept and style of our food. You might find Chris stopping by your table just to make sure everything is to your liking. Chris also has a great sense of humor and helps keep the atmosphere light in our busy kitchen. 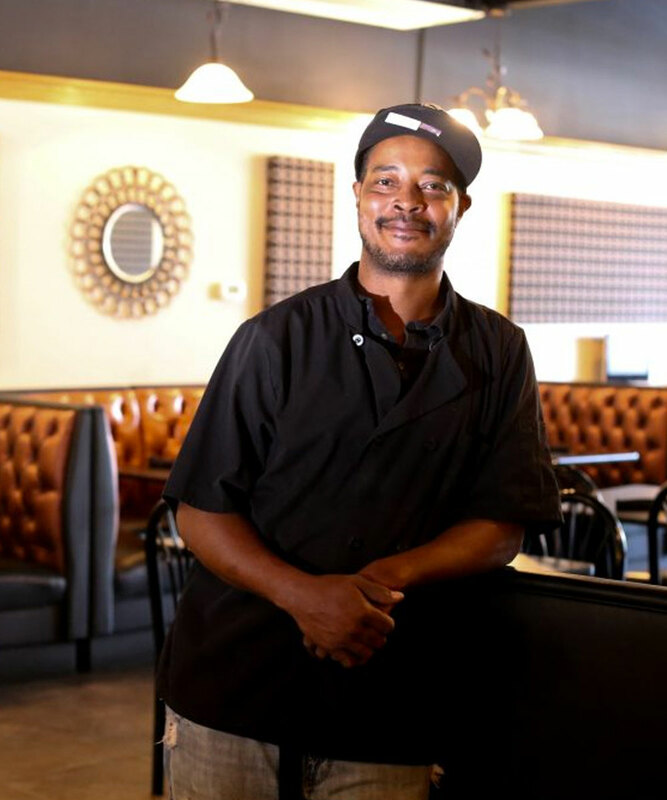 Jeremy Moore is affectionately known as “Turtle” but not because he’s slow in the kitchen! Maybe it’s because he can deflect stress with his tough outer shell and can keep on cooking! Seriously have you seen this dude go? 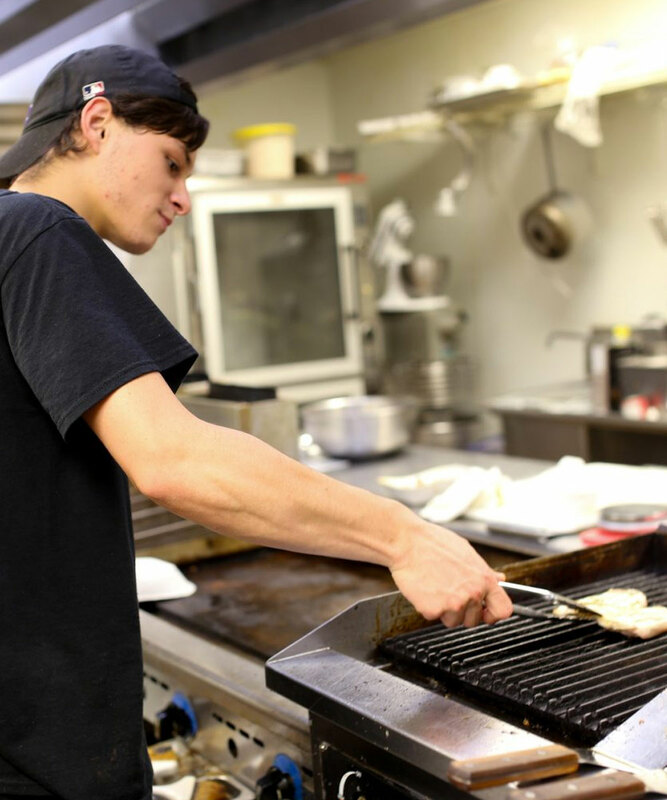 He can cook a flawless ribeye while building sandwiches and mixing up our made-to-order Parmesan cream sauce all at the same time. Yep, that’s our man Turtle – he adapts to whatever is necessary to get the job done and his culinary talent is impeccable. 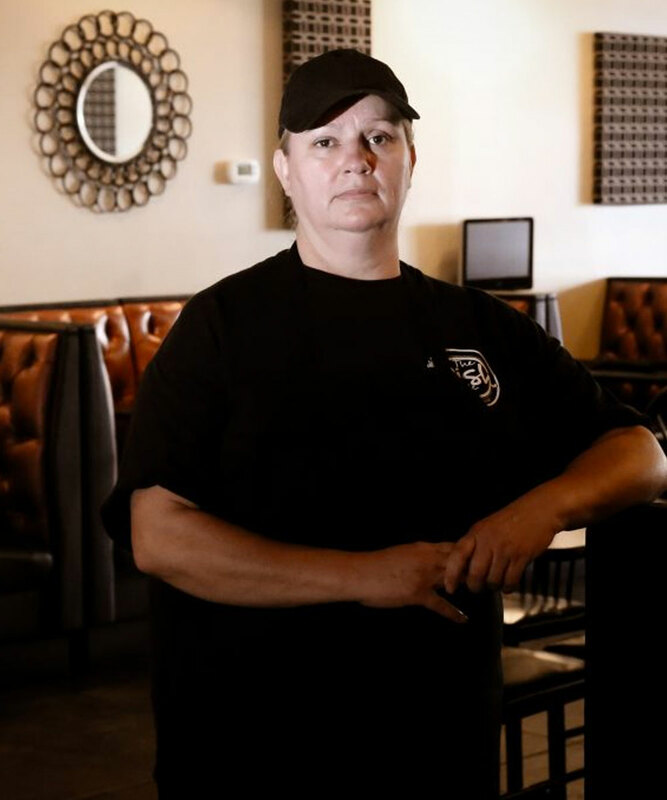 Sharon Dodd came to us with years of experience as one of the best cooks in the neighborhood. So when we turned over our golden recipe book to her in her new role as Prep Cook, she did not disappoint. Her culinary intuition definitely kicked things up a notch! Sharon has contributed invaluable tips and ideas and we’re so proud to have her on our team. Sharon is truly the main matriarch of the kitchen and helps keep our boys in line every day. 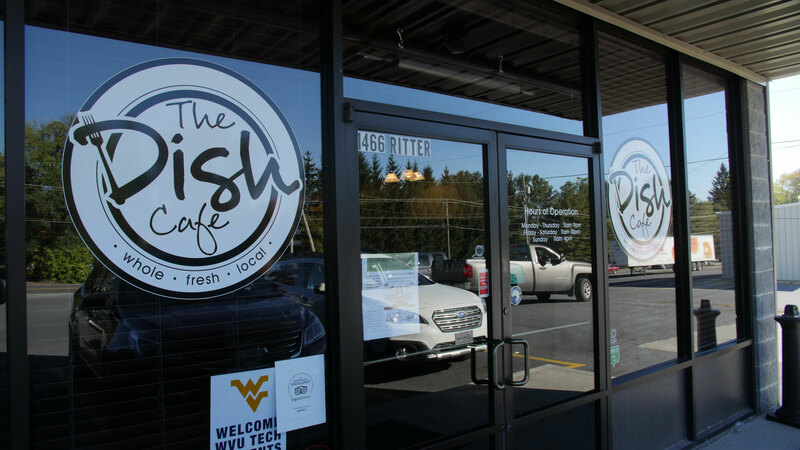 Very clean, friendly staff, fresh food. It was our first time and it was great. The menu offers so many different things it’s hard to choose. It’s also great to see products made in WV being used and being sold. I highly recommend. Excellent food. Wife had steak and I had chicken parmesan. Service was very good. A brownie desert made with avacado was tasty. A little pricey but worth it. Would highly recommend. Absolutely amazing….. my husband and I were celebrating our 4th Wedding Anniversary and thought we would try something unique …. this place has the fresh and local cuisine we were looking for ….. service and food were GREAT!! Enjoyed a delicious lunch with my fam today at The Dish. Fresh ingredients and nice craft beer selection. Terrific service and very kid friendly. Great flavor and crunch on house made bread for our sandwiches. Can’t wait to return for dinner!!! Fresh and fabulous!!! Falafel salad with the lemon vinagairette was delicious! Took home the brownie and savored every bite. A must stop if you are anywhere in the area!! The filet was excellent as always! They have the best Mac n cheese!! I tried my friend’s pecan encrusted trout and it was absolutely delicious!! Everyone should try this place!! It is worth every penny!! Our favorite place to eat! The buffalo chicken tacos last night for Taco Tuesday were AMAZING!